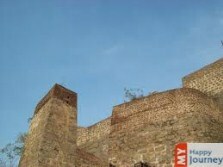 Boasting great historical significance, Khammam is located in Andhra Pradesh state. The region of Khammam experiences typical Indian climate and the best time to plan a visit to this city is during winter season. December to February- Weather is very pleasing in these months, and it is the right time to explore Khammam. Temperature during these months varies from 28°C to 34°C, while January is the coldest month of the year. March to May- Summers here are quite warm as the temperature rises up to 40°C. Being located near the ocean, humidity is quite less here. The temperature during these months varies from 40°C to 32°C. June to September- The onset of monsoon season gives some relief to the people from the scorching sun. The average temperature is around 30°C. Khammam gets rainfall under the effect of South West Monsoon and sometimes even the month of October receives heavy rainfall. Very Cold January is the coldest month of year in Khammam. Sunshine with a blend of cold climate makes the weather perfect for outdoor fun. When visiting Khammam during this time, you can take full advantage of tourist activities. It is advised to be totally prepared with your winter gears to stay warm in cold weather and enjoy your trip to the fullest. Pleasant In wintry weather of February, cool winds blow across the region and the atmosphere becomes really cold. Sunshine makes the climate warm enough for day trips, while nights are quite pleasurable with mild temperature. The city looks really beautiful in the winter days, allowing the tourists to admire its scenic beauty and indulge in various outdoor activities at this time of the year. Moderately Hot The weather patterns of March are pretty changeable, as days are pleasantly hot but nights can be a bit chilly. Temperature can start to rise by the end of this month, so early days of this month would be the best to explore the city. There are many historic buildings and ancient temples in Khammam that are recommendable for tourists’ visits. Moderately Hot Summer approaches the region with the arrival of April. The city gets a great level of sunshine during mid-days that might be a little sweltering but the travel deals will be really easy on your pocket. You can stay in some of the luxury hotels and get exciting offers and discounts. Avoid hot mornings and enjoy pleasurable tours in the cool afternoons. Very Hot Temperature in the month of May is very hot, making it a less favorable time to visit Khammam. Due to off-season, you will find great holiday deals and discounts. This is a good time for budget travelers to visit the ancient attractions and nature parks of this colonial city. It is advised to avoid outdoor travels in mid-days and wait for more pleasant evenings. Very Hot The weather in June is quite hot, with long sunny days and warm breeze. Rains can lash the region in-between, adding moisture to the air. This month can be considered for summer holidays as you can get best bargain deals offered on accommodations and travel packages. Evenings are best to relax on river shores and discover the city at its best. Rainy The beauty of Khammam comes alive with the monsoons in July. The highlands of the region are rich in flora, which appears like a green blanket draped on the mountains. This month can be an excellent choice to plan a trip to this splendid region, especially for vacationers who like adventure activities, like trekking, and want to explore the natural attractions of this place. Rainy Sun is occasionally out of sight during daytime, while bursting clouds keep on adding splendor to the nature’s beauty. In this monsoon month, what will really attract you is the wide array of beautiful sights and the special deals offered by luxurious hotels. If you like to enjoy rains, then this is a good time to visit Khammam and explore its colonial buildings. Moderately Hot This month in Khammam is all about getting pleasure from scenic vistas. If you are looking for a monsoon escape, then this can be an ideal place to enjoy nature’s beauty. This place offers peaceful ambiance and magnificent vistas of lush lofty mountains all around. You just need to choose a good travel deal and carry your rain gears to explore this spectacular region. Pleasant If you visit the city in October, then the breathtaking vistas are sure to leave you fascinated. The lush green region is adorned with verdant parks and amazing sights, which after monsoons become even more enchanting. For an exciting experience, visit the banks of Krishna River and enjoy a ferry ride, while exploring the hidden beauty of this historic city. Moderately Cold November is a highly preferred month for tourism in Khammam. This is the month when you can enjoy bright and sunny days accompanied by mildly cool climate for sightseeing. Many tourists prefer this period for visiting this city, which is full of alluring attractions. Spending time amidst lush surroundings and picturesque views is sure to make your winter holidays more pleasant. Moderately Cold Throughout this month you can expect pleasing weather with clear skies. Cool temperature makes it one of the most liked months to travel to Khammam and the invigorating climate makes your visits to the ancient temples and other outdoor attractions very delightful. The river shores and beautiful uplands are even more scenic and most likely to enhance your touring experience.